A photography, business and blogging podcast for photographers and creative small business owners. Join Paul and Cinnamon Wolfe as they discuss topics important for creative small business owners in the realm of marketing, photography, business basics, networking and technology. They interview other creative small business owners, entrepreneurs and industry leaders to discuss proven strategies, marketing techniques and some fun techy stuff too! Photographers in their first 5 years of business or creative business owners interested in business strategy that works to grow your business will find lots of great info here! 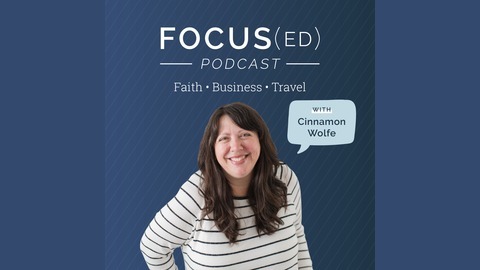 Focus(ed) Podcast is a podcast for photographers and creative small business owners who are ready to take their business seriously and stay focused on what is most important. We chat every other week about various business topics that will help you get to the next level and achieve your goals. We like to laugh and tell jokes too. We are so glad you are here. 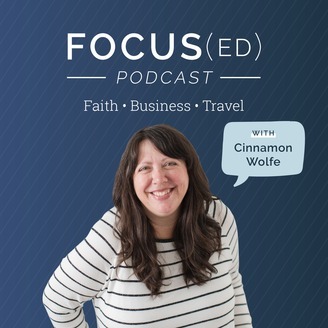 Focus(ed) is hosted by Cinnamon Wolfe a private photo editor and business coach based in the Seattle, WA area. Her mission is to help overwhelmed photographers run better businesses. Come hang out in the Facebook Group! Follow Cinnamon on Instagram or visit the website for more information about how you can stay connected and stay focused!